Around 56.600 people live in Greenland, predominantly Inuit's. Around 20% of the population is born outside of the country. The Inuit submerged from the Dorset culture around 1500 AD. The Little Ice Age was ongoing, making surviving difficult because hunting was difficult. Europeans arrived in 1530 Basque men caming first from Spain and builtding little forts along the coast of Labrador to fish and hunt whales. Inuit people didn't try to stop the Basque men, but they did raid their forts to get tools, especially iron tools, for themselves. Martin Frobisher and John Davis came from Britain in the 1570's and 1580's to sail around the Arctic looking for what they called the "Northwest passage" - a way through from Greenland to Alaska by boat, so that Europeans could ship goods from Europe to China without having to travel all the way around Africa and India. Inuit people met with these men and told them they didn't know any Northwest Passage, indicating that exploration was not common within the Inuit. By 1600, the Basque sailors had stopped coming to Labrador, probably because the whales disappeared from the area. Instead, the Inuit began to meet occasional French and English explorers and traders. Not all of it led to any good, the Inuit's caught serious foreign diseases from the visitors, and many people died of smallpox, measles, tuberculosis, and other maladies. Gradually more European people came to visit Inuit villages or stayed to try to prove that the Canadians or the United States government ruled the Arctic. Maps showing the different cultures in Greenland, Labrador, Newfoundland and the Canadian artic islands in the years 900, 1100, 1300 and 1500. The green colour shows the Dorset Culture, blue the Thule Culture, red Norse Culture, yellow Innu and orange Beothu (Photo: Wiki Commons)Late in the 1700's many Inuit's were converted to Christianity by Protestants missionaries. The missionaries not only introduced new beliefs, but also brought goods like iron tools, knives and needles, that came handy in the Arctic. That led Inuit to trade fur for knives and tools from Europe, as well as for food. Again the interfering had good and bad qualities. Medicine and doctorial knowledge did come in handy. This led to increased population in Greenland. In 1953, Denmark put an end to the colonial status of Greenland and granted home rule in 1979 and in 2008 a self-government referendum was passed with 75% approval. Although a part of the Kingdom of Denmark, Greenland, known as Kalaallit Nunaat, maintains much autonomy today. Transport in Greenland is very hard due to how scattered the municipalities are. Ships had to be used for longer transports, but around 1940, in the Second World War, airplanes become increasingly popular in Greenland. Canadians used planes and interfered with Inuit lifestyles by forcing some of them to learn Canadian ways of doing things, and forcing grown-up Inuit's to settle down in towns instead of being nomads. 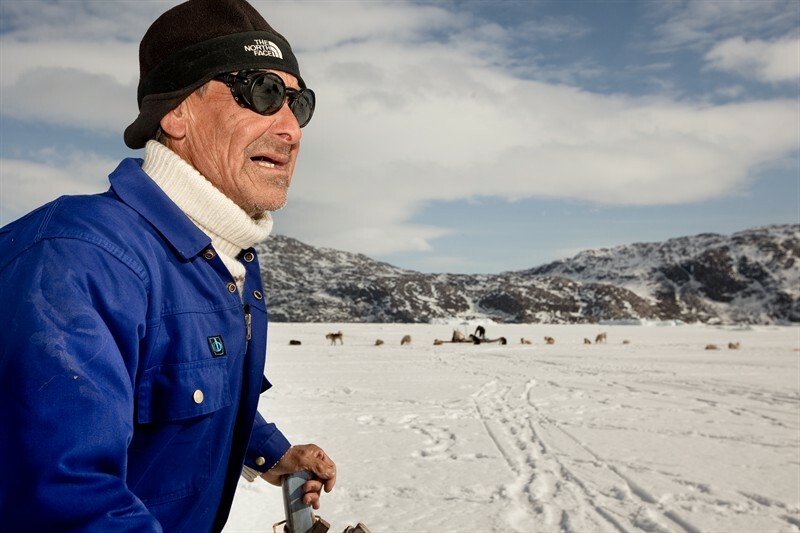 Of a population of 56,600 in 2011, 80% of Greenlanders identify as Inuit. Their economy is almost entirely based on fishing, predominantly shrimps.